Adda Ventures, Inc. has released Fototriever 1.0, their new photo organization and management app for iPhone, iPad, and iPod touch devices. The app makes taking, tagging, finding and retrieving your photos easier than ever. The first-of-its-kind app uses voice-activated technology, allowing users to tag their photos by voice or text as soon as they’re taken. HIT Technologies Inc. saysthe HITCASE SPLASH, a rugged waterproof, drop-proof, protective case for the iPhone 7/7 PLUS, 8/8 PLUS, X, Xs, Xs Max and XR has officially launched into all 1,000 Best Buy retail locations across the USA. HIT Technologies Inc. designs, develops, manufactures and distributes the world’s most advanced protective products for iPhone. The HITCASE SPLASH offers confident daily wear protection at an approachable price point, built to withstand hard-hitting drops to 6ft/ 2m and is waterproof to 10ft/ 3m. With its high-quality design, this lightweight and thin waterproof case offers MIL-SPEC shock-rating and shatter-proof protection along with dirt, dust, and sand coverage. The Action REDi(TM) button is a HITCASE signature design feature that prompts the user to capture photo and video adventures with ease. In addition, you can turn your iPhone into a better camera: easily attach any HITCASE TrueLUX(R) magnetic waterproof interchangeable lenses to the SPLASH for more creative shots. The HITCASE SPLASH(TM) is the case your iPhone dreams of wearing: hyper-slim, flush to the screen, waterproof to 10ft/3m and drop resistant to 6ft/2m. Additional HITCASE protective cases include the Shield LINK, also available in 1,000 Best Buy retail locations across the USA; HITCASE Crio and HITCASE PRO models, as well as the TrueLUX magnetic lens system, are all available on Best Buy and HITCASE online. HIT Technologies Inc. announced its 2018 Holiday Bundle lineup including HITCASE protective cases and accessories for the new iPhone models Xs, Xs Max and XR. Tis the season for skiing, snowboarding, snowshoeing, winter camping, sledding, hockey and skating. Get yourself outside this winter and fearlessly capture and share your adventures as you expand your skill set as an iPhone Photographer. The following HITCASE Holiday Bundles can help you create epic content and make amazing gifts! Most Vloggers have already experienced that Crio is so lightweight and low-profile that the iPhone actually feels like it isn’t wearing a case. Drop-proof to 2m with the added bonus of the Link(TM) System that the owner can seamlessly attach magnetic lenses and mounts on the go, turning their iPhone into a more versatile and creative camera. Protect your iPhone with total confidence. The HITCASE ENDURO(TM) for iPhone X and the iPhone Xs is a tough and rugged impact resistance iPhone case that withstands drops and daily wear. Dust, dirt-proof and drop-proof, the ENDURO(TM) is the perfect gift for anyone who needs the best in iPhone protection, plus it comes with 2x lanyards, to attach to anything, including your hand. Crio is so lightweight and low-profile that your iPhone feels like it isn’t wearing a case. Drop-proof to 2m with the added bonus of the Link(TM) System, you can seamlessly attach magnetic lenses and mounts on the go, turning your iPhone into a more creative camera, a perfect alternative to a much bulkier and more conspicuous vlogging camera, that might attract attention. The Splash(TM) will be their iPhone’s new BFF. Drop-resistant and waterproof to 10ft/3m, lightweight, slim, with a soft-grip exterior and lightning fast installation. It’s the case you wish you always had, let alone an amazing gift. Easily attach HITCASE’s line of TrueLUX(TM) magnetic lenses for incredible photo and video capture (the lenses are also waterproof). The Hitcase PRO is our toughest most rugged iPhone case. Waterproof to 10m, drop-proof to 3m, the PRO is the ideal case for adventurers and outdoor lovers. If the iPhone photographer in your life loves mountain climbing, hiking, skiing or snowboarding, the PRO Holiday Bundle will set things off nicely for them. The PRO Holiday Bundle includes a lens of your choice as well as the popular ChestR (chest mount), made for capturing impressive POV (point of view) video. We combined the world’s thinnest waterproof case with our Link(TM) System, bringing you an everyday protective case that is mountable with magnetic lenses. You won’t find this anywhere. If you know someone who has shown an increased interest in taking their iPhone photography to the next level, but they’re a little shy about it, this is the gift to add to your list! The great thing about Shield LINK is that you don’t even have to have iPhone photography as a goal. It’s a pretty good protective iPhone case in its own right being able to tolerate being up to 3m underwater and drops of up to 2m. HITCASE Shield LINK iPhone X, 8/8PLUS and 7/7Plus protective cases, by HIT Technologies Inc. (TSX VENTURE: HIT) are now available in 377 Best Buy stores in the United Sates, just in time for Father’s Day and summer adventures. HIT Technologies Inc. designs, develops, manufactures and distributes the world’s most advanced adventure products for iPhone. LastThink is proud to announce the release of Visualize Global TV 1.9, an update to their highly customizable TV application developed for iPhone, iPad, and iPod touch devices. Users can directly access their favorite TV channel and watch diverse films, news, programs from their iPad, iPhone and iPod touch anywhere and anytime. * Recording your favorite films, news, Talk Shows, programs and etc. We have selected data from the internet and if any assembly or constitution doesn’t want us to show the content of the unit, please recommend us to remove it. We follow TV regulations and adjustments and we select original TV content data without artificial editions. If you however experience any issues, please do not hesitate to contact us if you’d like to share your experience with live TV channels, or provide suggestions on how we could improve the product further. We will be more than happy to get in touch. 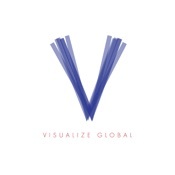 Visualize Global TV 1.9 is free and is available worldwide exclusively through the App Store in the Entertainment category. XVIDA has just released an entire collection of sophisticated and functional accessories that enable hassle-free and reliable in-car charging. The charging cases and car charging docks feature built-in precision magnets so your phone will stay securely attached and positioned in the optimal charging spot, ensuring maximum charging speed with zero risk of charging being interrupted due to device moving. The Car Kits include an ultra-slim, magnetic case, made from durable TPU/ABS, which offers protection against impact and provides a comfortable grip. The case is available for all the latest iPhone lineup as well as for Samsung Galaxy S8 & S8+. Those looking for all-round protection will be happy to know, XVIDA offers case-friendly tempered glass screen protectors, which fit perfectly with XVIDA Cases for the latest Apple & Samsung phones. The XVIDA wireless charging car kits are available for pre-order exclusively at Indiegogo at a starting price of $59 (45% off the expected retail value). Backers will start receiving the perks as early as by the end of March/beginning of April 2018.